Now you can quickly identify a prospect list based on common funders with your FDO account through Funding Pathways. Pathways, a new feature added to Preferred and Professional plans, is your direct connection to foundations who have already expressed an interest in funding causes like yours, as well as to potential partners who share funding sources with you. 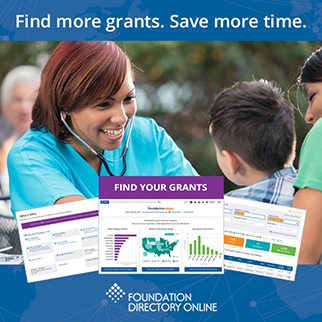 Log into your FDO account now, and click the Pathways banner on your account homepage to start identifying collaborations and new sources of funding! Your first Pathways visualization will prepopulate automatically starting with your organization (if available), or subject area and geographic focus.